HITS FOUR-YEAR LOW... The Dow tumbled 400 points today and, more importantly, finally broke last September's low. 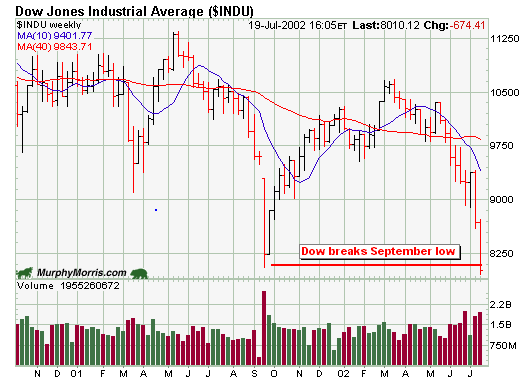 The Dow is the last of the major averages to fall below the lows of last fall. In addition, it was the worst percentage loser of the day. 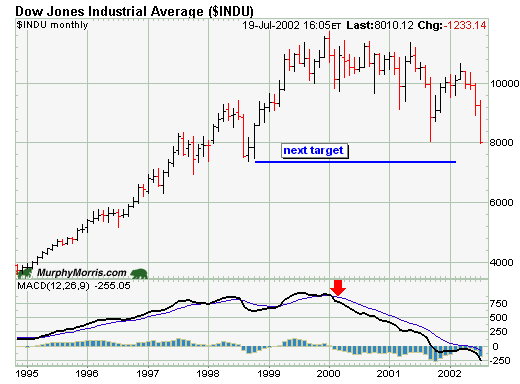 Chart 2 shows that the next downside target for the Dow is the late 1998 low. Other major stock averages have already broken their 1998 lows. 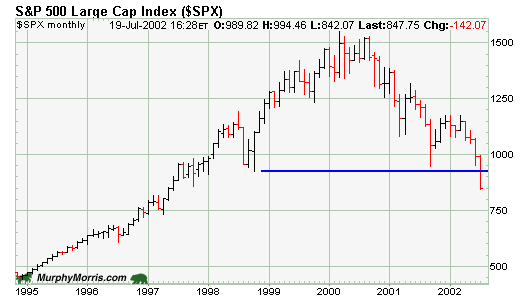 1998 LOWS ARE BROKEN... 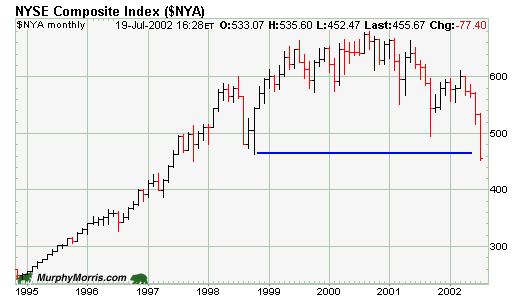 The NYSE Composite Index and the S&P 500 both cracked support at their 1998 lows. That puts both big board averages at the lowest levels in five years. Friday's price collapse also leaves little doubt that these averages have completed major "head and shoulders" tops that we discussed last weekend. 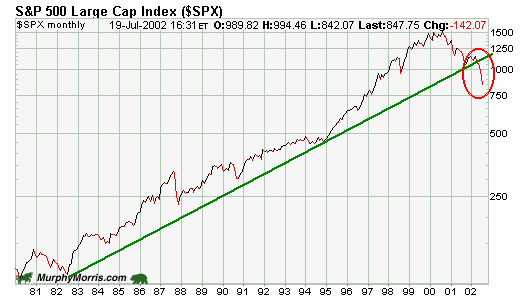 LONG TERM TRENDLINES BROKEN... Last week, we talked about several key market averages challenging 20-year up trendlines. Unfortunately, several were broken this week -- mainly in the NYSE and S&P 500 Indexes -- as shown in the chart below. This pretty much confirms that the "secular" bull market that started in 1982 has ended. That means we are now in a secular bear market -- which is usually much worse than the "cyclical" bear markets we've been used to for the past two decades. Notice that the price scale on the right is logarithmic, which means that it is based on percentage changes. That's why the scale gets squeezed as the numbers get higher. This differs from the normal arithmetic scale where each price increment is given equal weight. The reason we're showing this chart is because log scales are preferable for spotting long-term trend changes. And we certainly are seeing one -- to the downside.